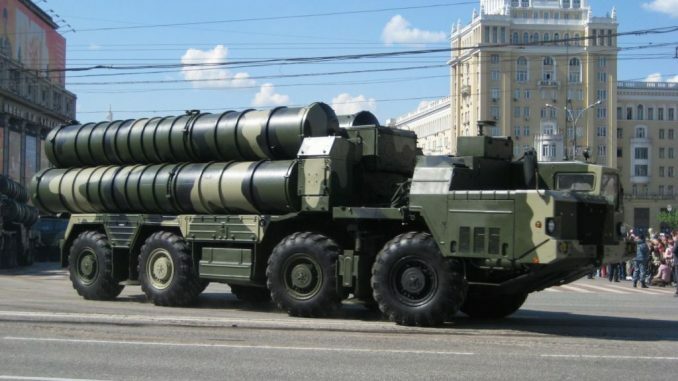 The U.S. and Israel have called on Russia to reconsider its plan to supply the Syrian army with modern S-300 air defense system, few days after Moscow blamed Tel Aviv for being the sole responsible for the downing of the spy plane last week in Syria. The Syrian Presidency in a statement Monday said Russian President Vladimir Putin informed his Syrian counterpart Bashar al-Assad that Russia will develop the Syrian air defense systems. The decision, according to Moscow, is motivated by the fatality that befell the Russian spy plane, which was hit early last week by a missile of the Syrian air defense forces. The 15 Russian servicemen aboard the military aircraft all perished instantly. “The system will “significantly increase the Syrian army’s combat capabilities,” said Russian Defense Minister Sergei Shoigu. Russia wad to supply the system to Syria years ago but balked at doing so over a request by Israel. Israel Prime Minister Benjamin Netanyahu held a telephone conversation with President Putin to voice Israel’s concern. Netanyahu according to his office told the Russian leader that modern hardware in the hands of “irresponsible players” will heighten dangers in the region. Also on Monday, John Bolton, U.S. President Donald Trump’s Security Advisor slammed Russia’s plans to equip the Syrians with the surface-to-air missile system. The US official urged Moscow to reconsider the decision as he held Iran the “prime responsible” for last week incident. “There shouldn’t be any misunderstanding here … The party responsible for the attacks in Syria and Lebanon and really the party responsible for the shooting down of the Russian plane is Iran,” Bolton said. Experts say the new air defense system will make Israeli fighter jets vulnerable to Syrian defense forces. Alexander Khramchikhin of the Moscow-based Institute of Military and Political Analysis told Reuters that the S-300 could “seriously affect Israel’s ability to carry out its strikes in Syria”.